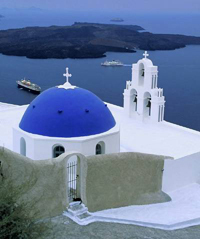 K & A have been specialising in part load removals to Greece and the Greek islands for over 30yrs. Unlike other companies our vehicles depart for Greece weekly and our Greek island service departs weekly also. Many other companies have to wait to consilidate loads before your shipment departs. With K & A this is not the case as we have a regular supply of clients moving to Greece and our services are used by other movers to ensure their clients are delivered to Greece in a sensible time frame. We can accomodate anything from a single carton to a full household, boats, machines, pallets, cars in fact we offer a full delivery solution whatever the item or items. K & A is owned by a Greek family who have lived in the UK for many years, we still have offices and numerous contacts across Greece and are better placed than most companies to deliver your personal effects safely and as stress free as possible. In reality almost every job we do is a part load as our purpose built vehicles can hold 2-3 average 3 bedroom houses. We also have smaller vehicles in our Athens depot as well as friends and contacts on every Greek island making trans-shipping if required no problem. Call the real Greek removal experts.